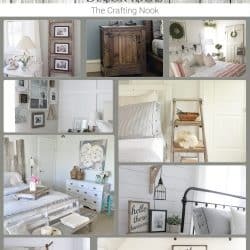 Hey there The Crafting Nook readers! 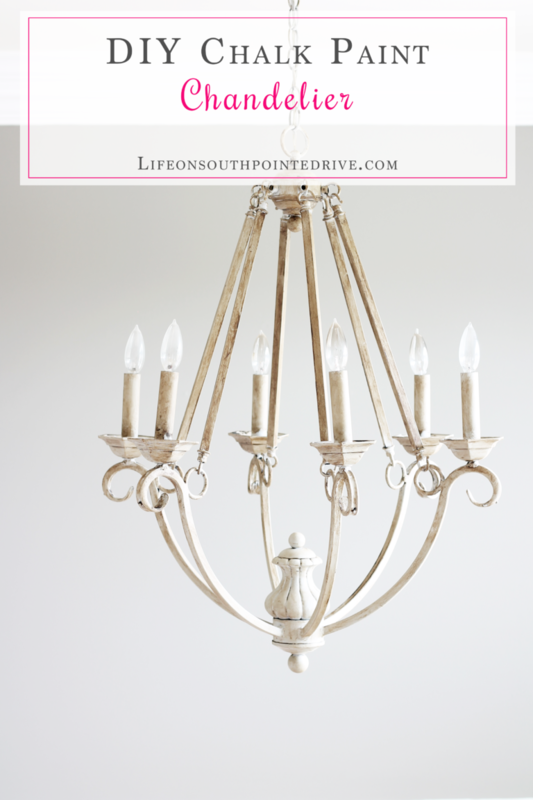 I’m Holly, I blog at Life on Southpointe Drive and I’m so excited to be guest posting today! 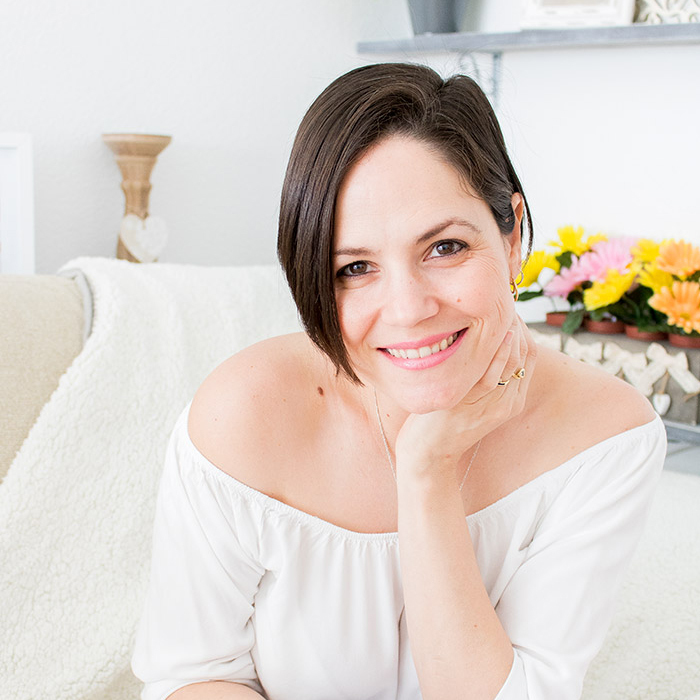 My passion is DIY and Home Decor and over at my blog, Life on Southpointe Drive, my goal is to inspire others to DIY the home of their dreams! I constantly have about three projects going on at any given time at my house and I just finished up one that I hope you’re going to love. 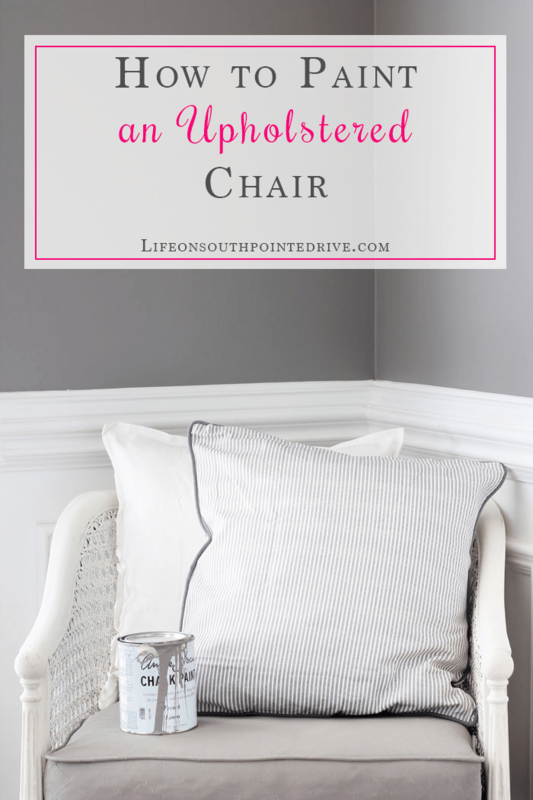 Today I am sharing with you How to Paint an Upholstered Chair! 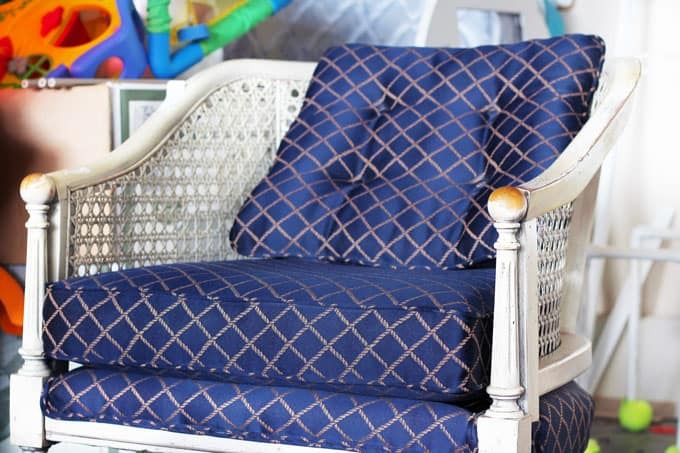 I know you’re probably thinking…paint fabric?! 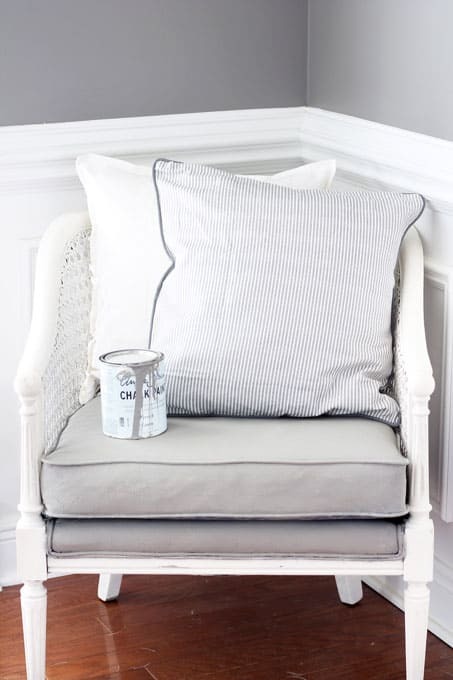 That is the same thing I used to think until I was introduced a few years ago to the amazing chalk paint! 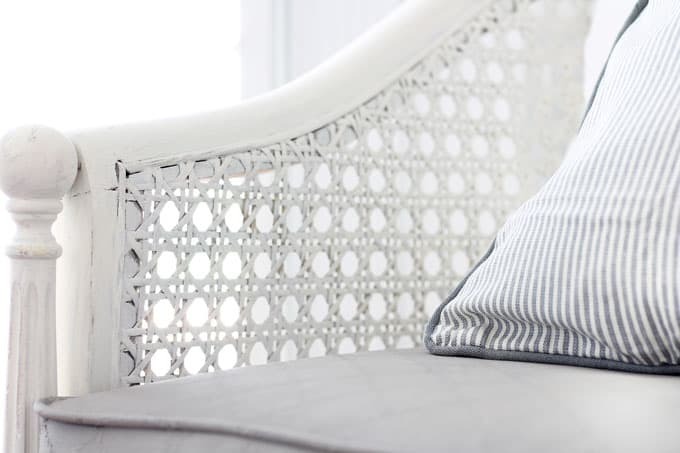 It is usually my go-to for furniture projects and I love everything about it! 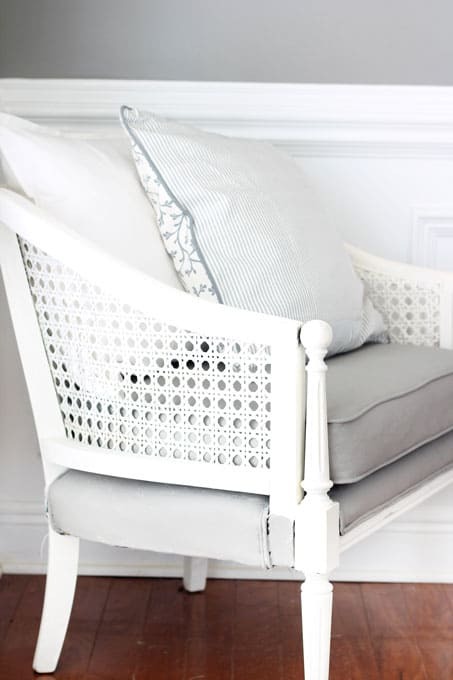 Something that has been on my list of things to learn how to do is reupholstery, but I’m not there yet…far from it! So when my mom found this old caneback chair at a thrift store for $15, I knew I had to do something to bring it back to life that didn’t involve reupholstering. My options at this point were to give reupholstery a try (which I have far from mastered) or try the whole chalk paint fabric trick! I have seen many other bloggers use chalk paint on their upholstered pieces and it turned out beautiful but this was my first attempt. I knew if I messed it up I would have to reupholster it but I thought I would give it a go! 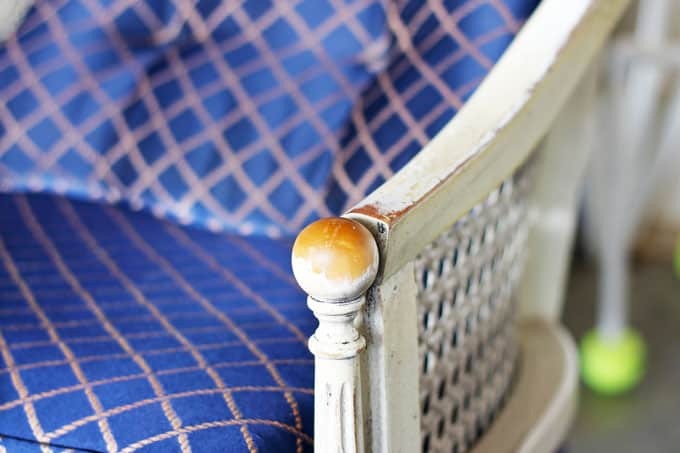 If you’re looking for a super quick redo for your reupholstered pieces, this is it! This was a really quick project, and I finished it in around 2-3 hours. So I am a really bad teacher because while painting the actual chair I forgot to snap some pics! But this is about painting the upholstery…so I guess I’m good! 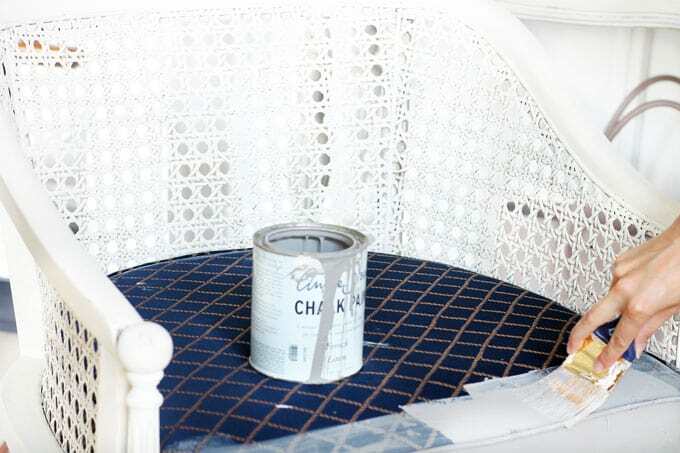 All I did on the chair itself was take off the cushion and give the whole upholstered chair 2 coats of Annie Sloan Old White chalk paint and made sure to get every nook and cranny. You might need to bring out the painter’s tape for this part. I did end up dripping a few drops on the upholstery but I didn’t sweat it since I was going to paint the upholstery anyway. 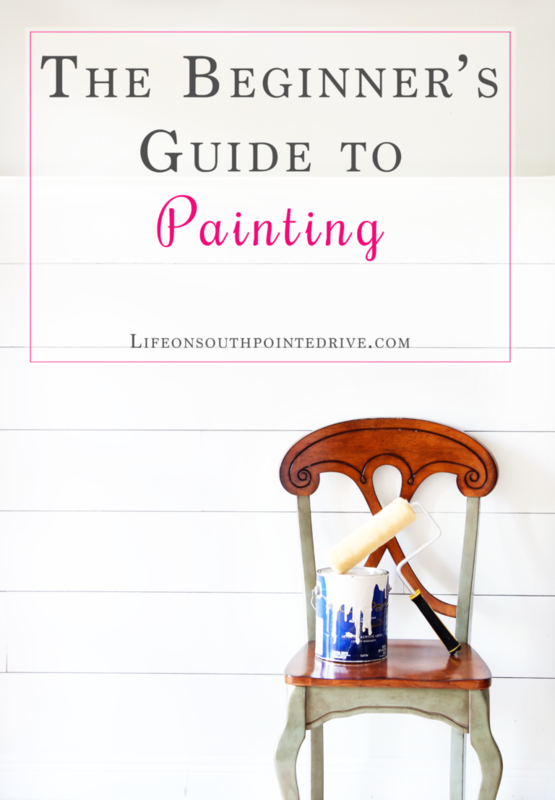 The beauty of chalk paint is that you don’t really have to have a great painting technique. 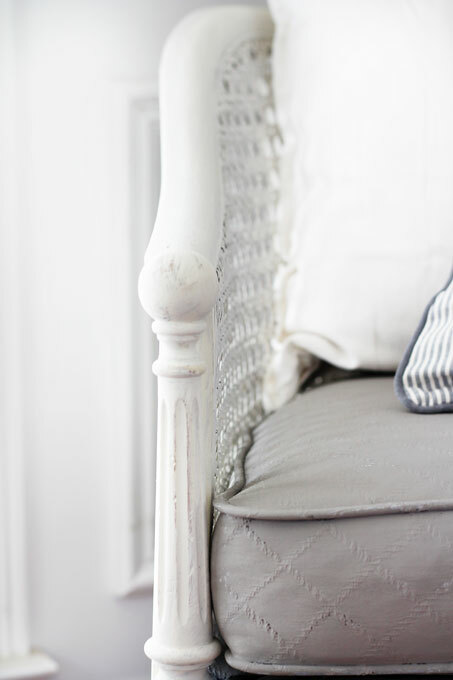 With chalk paint you’re going to see brush strokes, and that is ok. I think it adds to the character especially with older pieces. After letting the chair dry (another great thing about chalk paint is it dries really fast) I gave the whole chair one coat of Annie Sloan clear wax to give it a more durable finish. Then I took off the cushion and started painting the upholstery. I was super nervous, but kept thinking the chair was only $15! I did take the cushion off the chair to paint it on the top side but I had horrible lighting in my garage, so for the back side I just flipped it over and painted it in the house so I could get a better photo for you all! After the first coat I was a little worried since it was such a light coat and the design on the cushion was bleeding through…a lot, but after the second coat I was good to go..it was like magic! The chair was already starting to really come to life and I was already happy with the way it was turning out. But in order to give it even more of a vintage look I decided that after the chair was painted and fully dried I would distress it a bit with a sanding sponge. 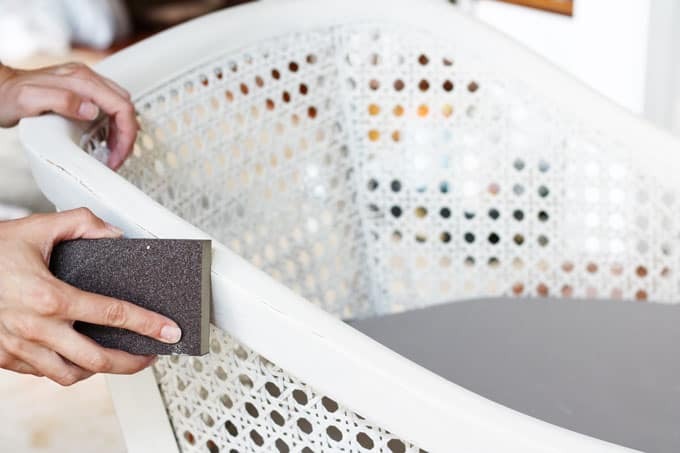 I have used many different techniques to distress or age furniture, but sandpaper is usually my go-to. The key is to pick areas where you feel the piece would naturally get worn over time. Edges are always a safe bet. Make sure not to be too rough with it, lightly go over the edges to give it a natural distressed look. So after the painting and distressing it was time for a little styling! When I was walking through Ikea on a mission to find something else I came across a couple of pillows that I thought would be perfect. 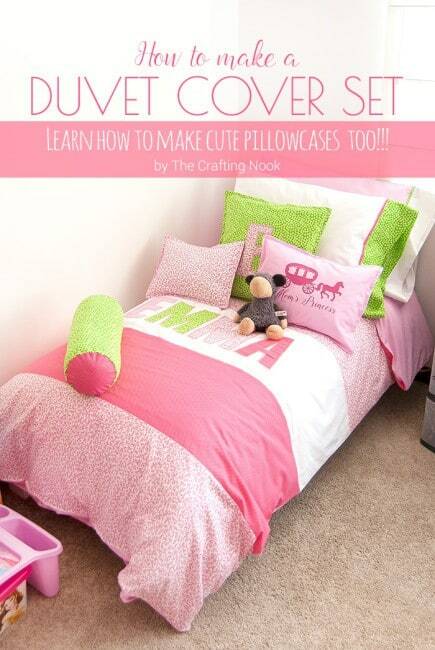 I snagged them up along with a couple of pillow inserts and got to prettying (is that even a word?!) it up! 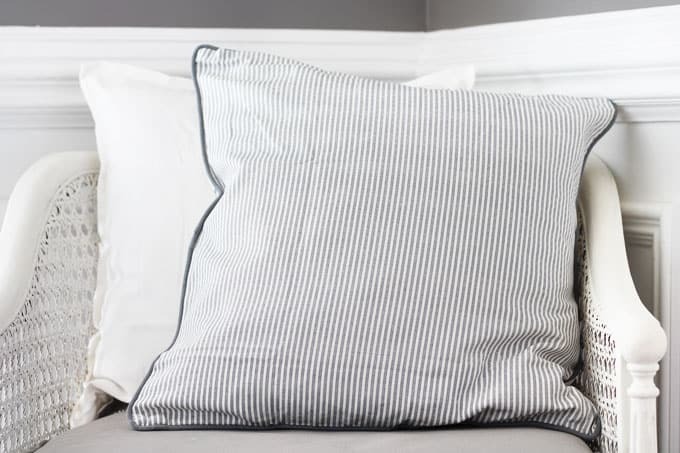 Nothing says vintage farmhouse like a pretty french ticking pillow cover! ;-) I mix my pillows up often so not sure how long these two will stay here, but I really am loving them together in the space. I had someone ask me what the fabric now felt like since I have painted it, and the only way I can really describe it is that it has a leather consistency. I will say that even with the fabric painted it is still very comfy and the paint doesn’t crack when you sit on it. I was worried it would since it is paint, but I was so happy to find out that it is holding up nicely! The upholstered chair has found a new home in my home office and it is fitting it quite perfectly! 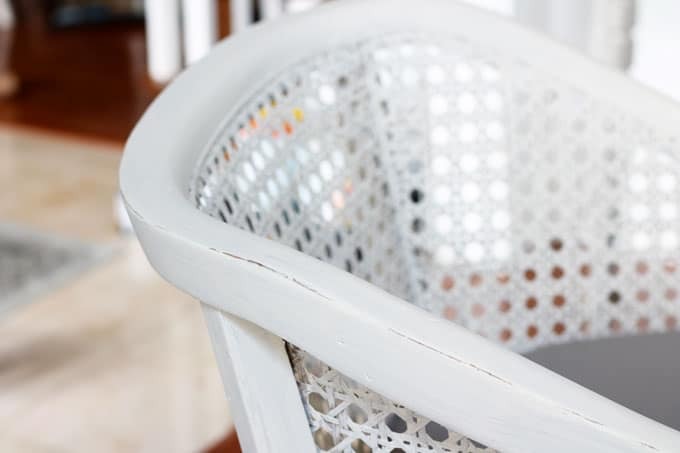 Hopefully you find this DIY project to be an easy one and you already have a chair or two in mind to try this out for yourself! 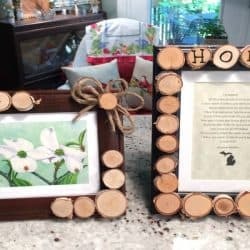 Make sure that if you’re looking for other affordable DIY projects that you hop over to my blog, Life on Southpointe Drive, and check out some of my other fun projects! It’s been so much fun hanging out with you all here at The Crafting Nook! Come by and see me and let’s stay in touch…find me on Pinterest & Instagram! Subscribe to our Biweekly Newsletter. 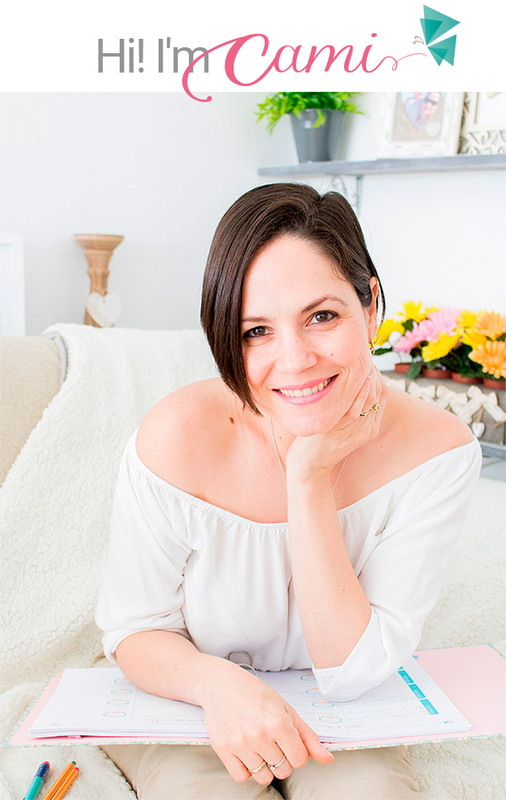 Get my latest posts and occasional free goodies straight to your inbox! I hate Spam as much as you do so, No Spam I promise! Great project! I’ve always wanted to try this but wasn’t sure how it would turn out. 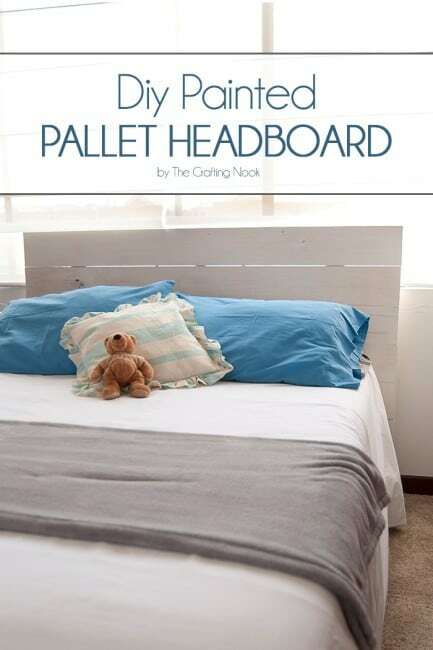 Love the idea of using chalk paint though. 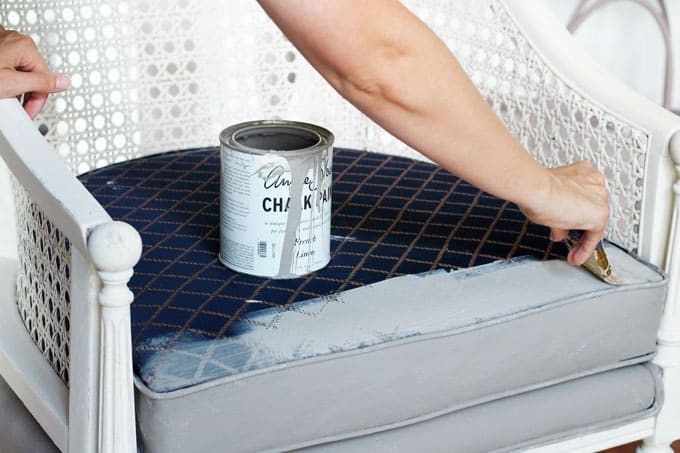 I have an old chair that actually got paint on the upholstery (errant kid with a paintbrush lol) that I’ve had packed up for awhile- I might give this a try! I had so much fun guest posting for you today, Cami! Thank you for the opportunity! Hope your readers enjoy! Get every new post straight into your inbox as soon as they go live! I hate spam as much as you do so I'll just keep it simple! I love it when you love my work! You may use any of my photos or recipes from a post you enjoy here to be featured on your site, as long as you provide a link back to me and notify me either in the comments or with a direct email. It may not be accompanied by the project tutorial, whether in my own words as it originally appears or paraphrased. I do not permit photos of my family to be shared without my express written consent for each photo used. I know that by publishing on the internet, anyone can see what I share, but it’s still my intellectual property and it only belongs here at The Crafting Nook by TitiCrafty. Thanks for playing fair and respecting my copyright!